We at Kathryn Wayne-Spindler and Associates have seen enough divorce and custody cases in our 20+ years of family law work to know that drugs and alcohol use and abuse wreak havoc on marriages and families. If you are trying to salvage family ties by recovering from a drug, alcohol, tobacco or other addiction, here are a few sites that might have some tips and support. We also frequently write blogs about the topic of drug and alcohol problems as they relate to our clients’ family law struggles that may help. For legal assistance with a Michigan family law matter that involves drug or alcohol abuse, contact our Milford, Michigan office at 248-676-1000.
the court officials that you are motivated to do what it takes to make your home a healthy place to raise children. Nicotine addiction is a tough habit to kick. For some helpful advice, look to the website quitsmokingcommunity.org. The Alcohol Awareness Council is dedicated to informing the public about the use and abuse of alcohol. You will find the latest alcohol research, studies and statistical data, brought to you by government agencies, academic institutions, news sources and awareness organizations. You will also find a wealth of alcohol-related resources, support groups, and help lines for those struggling with alcoholism. If you or someone you care about has a problem with alcohol or drug addiction, you should seek help immediately. 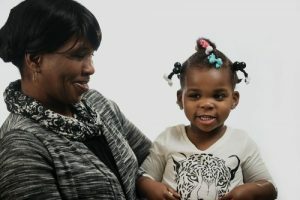 Focusing on the unique needs of mothers in recovery. Pregnant and parenting women are a priority for admission to treatment services. PRISM for Mothers is a comprehensive substance use treatment program designed to assist pregnant and parenting women in the achievement and maintenance of a substance-free lifestyle. PRISM also offers women the education and support necessary to promote safe and healthy parenting practices with their children. Located at Oakland Family Services, 114 Orchard Lake Road, Pontiac, MI 48341. Onsite child care and transportation available. To contact the PRISM program, call Oakland Family Services at 248-858-7766, ext. 1342.